Tap 3 area to cycle dim modes, Auto Always, Always On, On Normal and Off. Tap LCD panel to park handa and cycle functions.1- 24 hour, 2- 12 hour am/pm, 3- date, 4- Chronograph. In Chronograph Mode tap 8 area to start/stop Chrono and tap 4 area to rest Chrono. 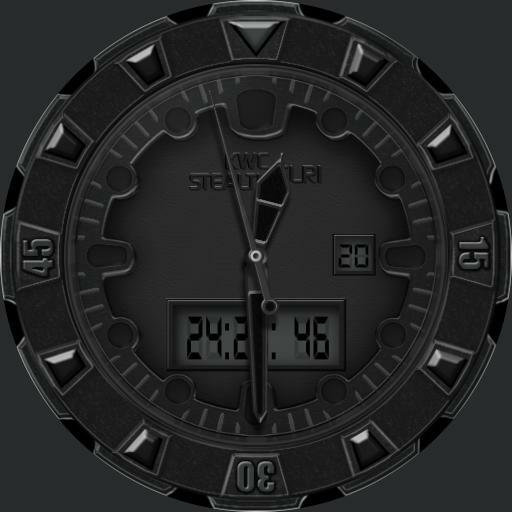 5- watch battery level, 6- phone battery level, 7- current temp, 8- UTC, 9- extra tz 1, 10- extra tz 2, 11- extra tz 3.